Situated at the heart of De Ceuvel, Metabolic Lab is a unique and inspiring facility for events, meetings, workshops or trainings. The main event space within Metabolic Lab can host a maximum of 20 people for a meeting or workshop style event, such as a brainstorm, strategy session, or partner meeting. It can host a maximum of 35 people for a lecture style event, such as a presentation, screening or debate. If you require more space, just let us know. 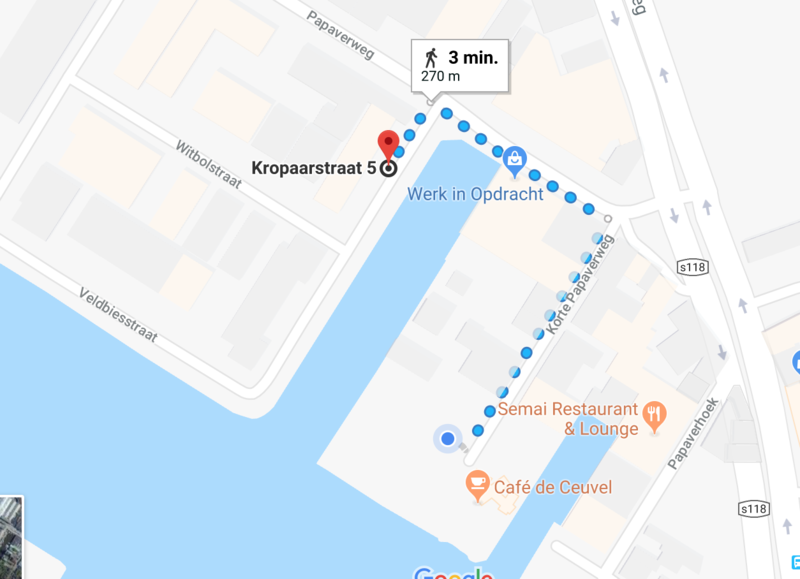 Other boats and spaces at De Ceuvel can be arranged upon request. Sustainable, organic and delicious catering is available from Café de Ceuvel. Surrounded by the creative environment of De Ceuvel, Metabolic Lab serves as a unique backdrop for an unforgettable event. We facilitate a range of organisations and events in our inspiring venue. 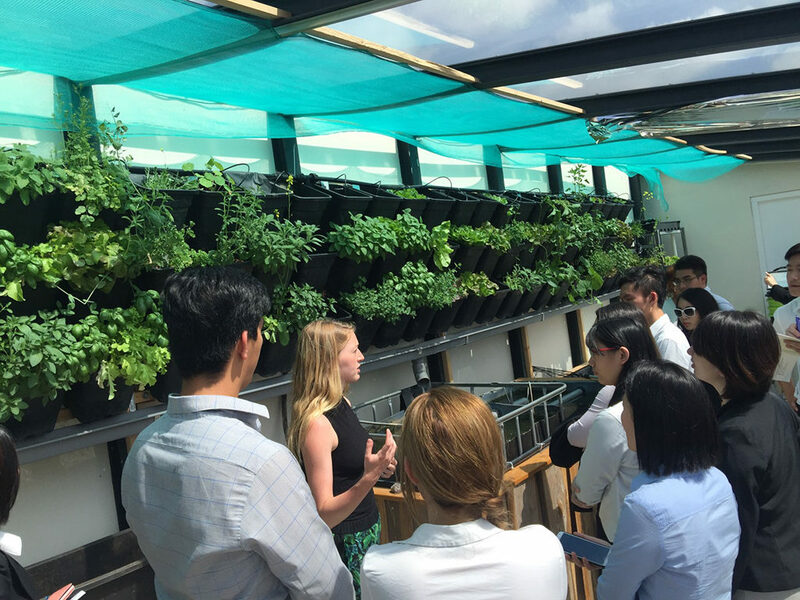 The facility showcases how clean technology, food production, and nutrient recovery systems can be integrated into urban environments. At Metabolic Lab, people of all ages and backgrounds, from children to scientists, can learn about applied sustainability and how they can make an impact in their own communities and organizations. Metabolic is a consulting and venture-building company that uses systems thinking to tackle major sustainability challenges. Headquartered in Amsterdam but working internationally, it provides strategies and tools, crunches data, creates new technologies, builds pilots and scales up innovations. 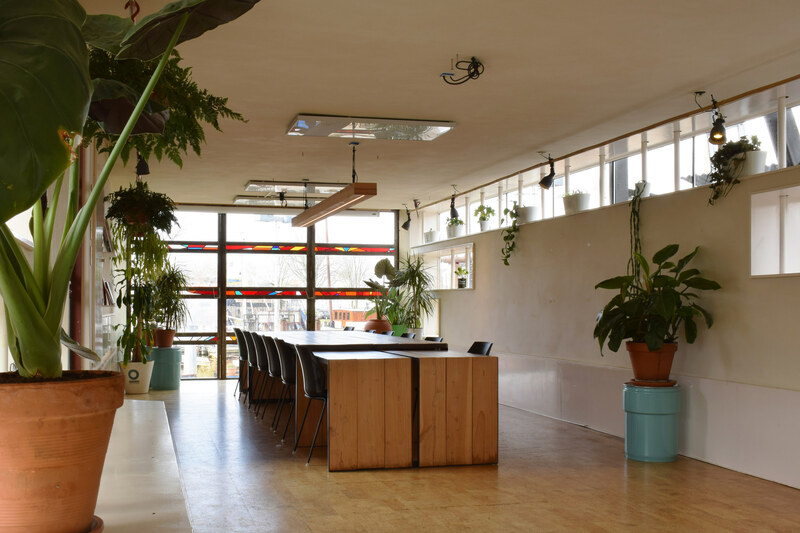 Metabolic Lab was built and designed by Metabolic, but is run by De Ceuvel, though the consultants of Metabolic use the space almost daily for meetings or worksessions when the space is not in use for events. Metabolic Lab hosts events, can be hired as a meeting space and is home to a range of educational programs. It is a platform where people can learn about both De Ceuvel, the transformation of the surrounding Buiksloterham neighbourhood, and other sustainability approaches that are important for urban transitions around the world. At Metabolic Lab, people can join expert workshops, host creative events, and learn applied sustainability. Metabolic Lab offers regular educational programs on applied sustainability and circular cities. These range from simple workshops to multi-day courses that provide an in-depth learning environment. Metabolic works with a range of trusted external trainers and educators to provide informative and empowering learning experiences. These range from practical skills such as building aquaponics systems through to more strategic sessions on sustainable ecosystems. To view a list of our upcoming workshops and courses, check De Ceuvel's events listings. Metabolic has developed a set of masterclasses on some of the core drivers of the sustainable economy, allowing anyone to quickly develop a deep understanding of the principles and how to apply them. From cities and food to economies and communications, these half day classes give in depth and actionable knowledge. For more information on our masterclasses, take a look at Metabolic's brochure. Beyond publicly accessible programs that anyone can sign up for, we also offer bespoke programs geared towards a specific organisations or initiatives. Some of our clients include ABN-AMRO, Amsterdam Institute of Advanced Metropolitan Solutions (AMS), Amsterdam University of Applied Sciences, UNESCO-IHE, Engineers without Borders, PWN, Ministry of Infrastructure and the Environment, Netherlands Enterprise Agency, Youth Food Movement, and Climate-KIC. 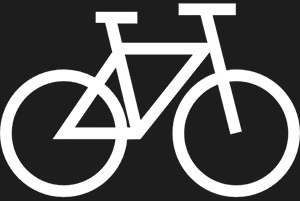 Metabolic Lab welcomes driven individuals and organisations who provide educational programs aligned with the mission and themes put forward by De Ceuvel. Does your organisation provide workshops and need an inspiring location? Do you have a great programming idea? Email boekingen@deceuvel.nl. Masterclasses and tailor-made programs are given by Metabolic's knowledgeable and experienced sustainability consultants and executive team. In September 2017, Metabolic in collaboration with Mediamatic Foundation launched De Ceuvel greenhouse, which houses a fully functioning aquaponic system. Sitting on top of Metabolic Lab, the greenhouse grows food for the neighbouring Café de Ceuvel. The greenhouse houses a customized DIY aquaponic system and utilizes organic waste flows generated on-site. For example, urine is separated and collected from Café de Ceuvel and Metabolic Lab, from which phosphate fertilizer is recovered by using a struvite reactor. The site also collects organic waste from Metabolic Lab and the café in a vermicomposting unit to produce compost and fish food. Want to book Metabolic Lab?